1. Mindfulness – tuning into the now. Our minds will drift in and out of the present moment, the key to stopping overthinking is catching ourselves in the act and grounding ourselves in the now. We can do this by tuning into the body using the senses – we must lose the mind and come to our senses. 2. Exercise – moving into the body. Pent-up emotions that have not been expressed can manifest in the mind as overthinking, one of the most effective ways to allow these emotions to express themselves is by moving into the body fo example through running, yoga, martial arts, swimming etc. 3. Creativity – letting the mind wander freely. Expressing ourselves creatively gives us an insight into what’s brewing beneath the surface of the conscious mind. This insight serves as an indication of where the overthinking is coming from, it is then up to us to make lifestyle changes to cure our dis-ease. 4. Nature – filling the mind with peace. The subconscious mind draws on what we feed it to create thoughts, filling our minds with peaceful imagery such as nature reduces the intensity and frequency of chaotic thought processes and brings peace to the mind. 5. Meditation – sitting with difficult thoughts. Making time to be present with ourselves during meditation is an opportunity for us to practice detachment from our thoughts but also to practice releasing resistance to difficult thoughts. Once we accept that these thoughts will come and go we allow them to flow through us instead of resisting them which will encourage them to persist. 6. Community – surrounding ourselves with positive energy. When we surround ourselves with people/animals who make us feel good we are much less likely to find ourselves trapped in the mind stewing over old thoughts. 7. Perspective – becoming the observer. Often times our thoughts consume us because we are seeing them through the first-person lens, to stop this from happening we must adopt the observer perspective and see ourselves through the third-person lens to understand that these thoughts do not control us. 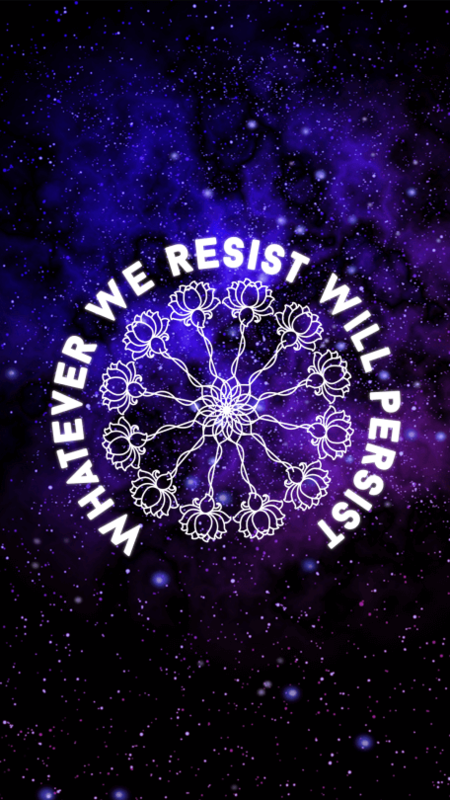 Whatever we resist will persist.